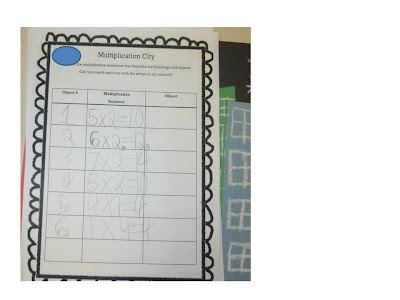 I was inspired by this post from Teaching With Moxie to do something with our multiplication arrays. I also used this post at Deep Space Sparkle for inspiration. 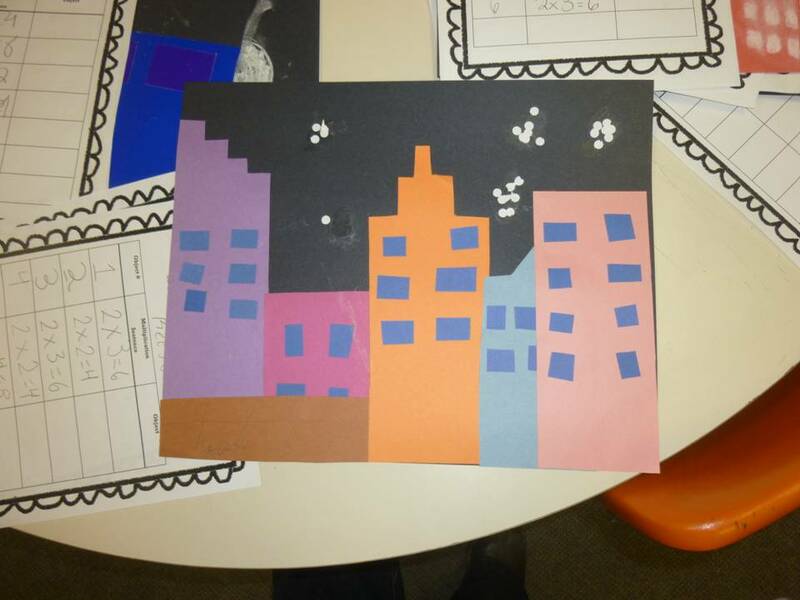 Put them both together and what do you have - multiplication cities obviously! We started by reading this book, focusing on how the pictures showed multiplication! 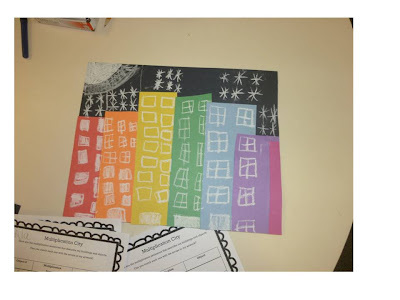 Then we looked at the sample art from Deep Space Sparkle - and talked about how we could write multiplication sentences for some of the buildings but not all of them. Students completed two charts - one with answers and one without - so that people could find the correct object and then check their answers on the second page. Here is a copy of the chart for you! Sooooooooooo cute!!! I love Amanda Bean!! This looks great! I love it!! Thanks, now I just need to find time to put them up! Love it! 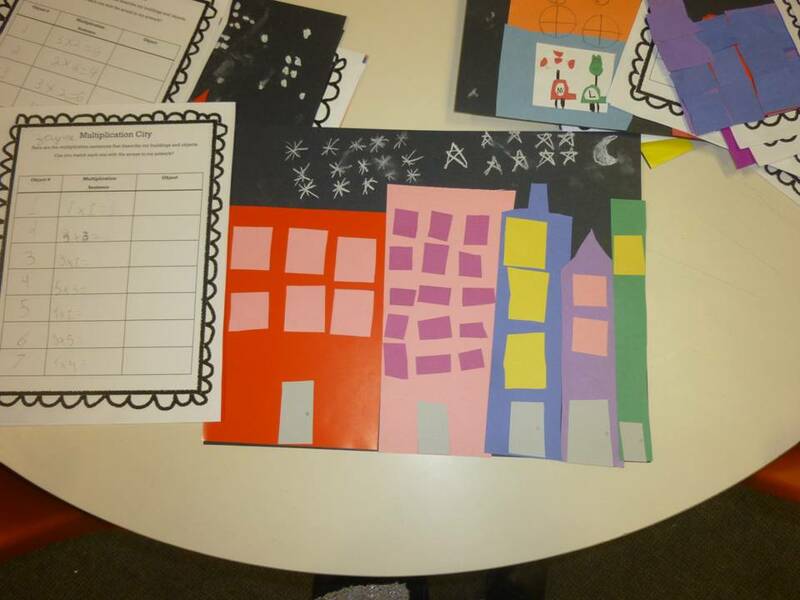 Will have to make sure my teaching partner with moxie sees how cute these are! Tell her thanks for the inspiration! I hope you have the book - my class loves it! LOVE, LOVE LOVE! This is going on my 'to do' list for next year! It would be great to put up for our Open House. Too bad it is tomorrow! LOL! They look great and and the arrays are "real life". Gotta go pin this! And thanks for the shout out! Love this! 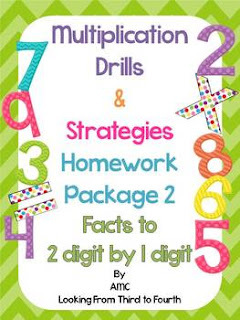 Posted on Math Monday and on love2learn2day's Facebook page. Fabulous! Thanks so much! I just made a title for the bulletin board today - and it has been up for a week and a half! 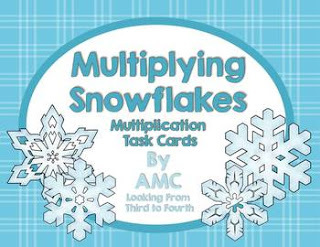 Love this activity and can't wait to use it! Thank you! Cute idea! Thanks for sharing!! Whee! 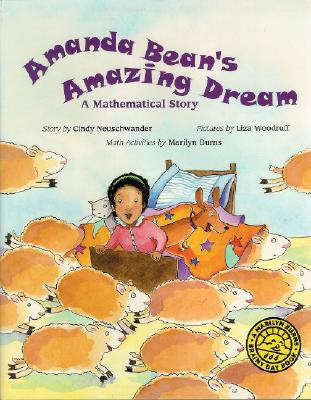 We are reading Amanda Bean tomorrow! Coincidental? What's the last column labeled "object" for on the chart? The last column was for students to reveal what the multiplication sentence is representing. I used the word object since not all of the sentences were representing buildings. We did two pages. One without the answer being revealed so that the other students had to read the sentence and find the building/object and then they could check their answers. In the last column they described the object (orange building with blue windows etc.). Hope this helps. I am teaching Math and Science this year and I look forward to presenting this Math project !